The Origin and Meaning of ‘Voldemort:’ Allingham’s ‘The Tiger in the Smoke’? Can it really have taken us twenty years to track down the origin of the name and the essential meaning of J. K. Rowling’s pathological villain, Lord Voldemort? I read a mystery novel yesterday, Margery Allingham’s The Tiger in the Smoke, that seems to have a passage that satisfies the several tests I’ve been able to come up with for verifying a true Voldemort source. Let me share those tests or metrics, the passages in question, as well as the several competitors for the title of ‘Original Dark Lord’ all of whom I think Tiger in the Smoke trumps. First test: The Presence Herself has to have said she read (and enjoyed?) the book which is being cited as a possible source for Voldemort’s name. The most frequently cited source for the name on the Internet is “Voldemortis,” a supposed wizard who battled Merlin. Sadly, this idea seems to have appeared out of thin air in 2004, the earliest source I found for it, and you can tell it has been cut and pasted in every names meaning list since because they all begin with “In another language, Voldermortist means “Lord of Evil” or “Dark Lord”. Legend has it that Voldermortist once tried to destroy Merlin…” I kid you not. MuggleNet, Korean Potter fan sites, the whole spectrum. Rowling never mentions ‘Voldemortis’ or the Arthurian legends as a Dark Lord point of origin. I was a little disappointed that she hasn’t discussed The Master and Margarita, either, because the plot of that book — not to mention ‘Woland De Mort‘ (?) –is a great match for Lord Thingy, too. Second Test: Lord Voldemort is a psychopath, full stop. The Original Can’t Be Mister Rogers. He is “a raging psychopath, devoid of the normal human responses to other people’s suffering” (EW). “If you are writing about evil, which I am, and if you are writing about someone who’s, essentially, a psychopath – you have a duty to show the real evil of taking human life” (BBC Christmas). “If a psychologist were ever able to get Voldemort in a room, pin him down and take his wand away, I think he would be classified as a psychopath” (Radio City). She is sometimes cited as the source of the translation from the French, “flight from death.” I could not find verification of this ‘internet-fact,’ i.e., a seeming-truth that is believed because it is repeated in thousands of places. It is not in the accio-quote.org index of Rowling quotations about Voldemort. How does The Tiger in the Smoke stand up to these tests? Answers after the jump! First Test: Do we know the author has read and admires the source? 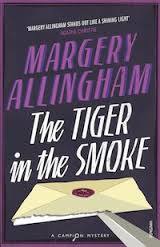 Rowling likes Allingham’s Tiger in the Smoke. A lot. 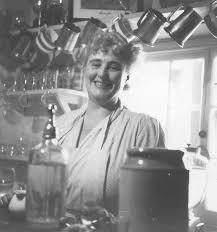 Referring to the “golden age”, she said she was a fan of authors Agatha Christie, Dorothy L Sayers, Margery Allingham and Ngaio Marsh, who wrote in the mid-20th Century. 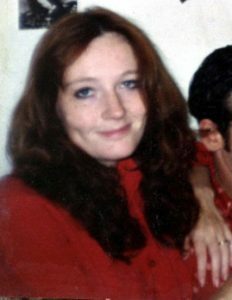 Several sources including Wikipedia cite a Twitter link to ‘The Crime Vault’ that no longer exists for another even more enthusiastic recommendation: “In talking about her absolute favourite crime novel, JK Rowling went for The Tiger In The Smoke by M Allingham.” Maybe she said that, maybe not. In light of the BBC quotation, it is credible but unverified. 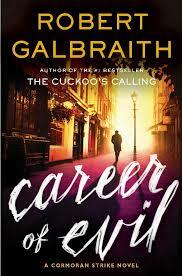 Rowling mentions her love of Margery Allingham in the 2014 interview which she did as her alter ego Robert Galbraith. 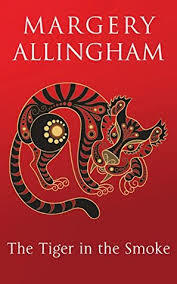 In this interview she says that she read Allingham’s ‘phenomenal’ novel The Tiger in the Smoke ‘one fraught Christmas when I had a new-born baby.’ It seems highly likely that she is referring to Christmas 1993, after the birth of her first child, when she was just beginning to write Harry Potter and may well have been looking for names…. [G]iven that we can pin-point her reading of [Tiger in the Smoke] to the moment she was starting Potter, it gives more evidence for Allingham as a source for Rowling! 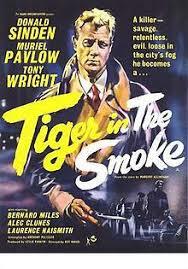 The villain in The Tiger in the Smoke is no run-of-the-mill baddie. 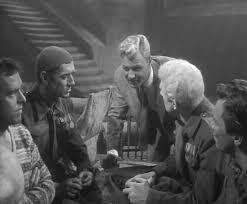 ‘Jack Havoc,’ for starters is not his real name but one Chief Inspector Luke thinks “is too suitable. I should say he invented that, as a boy might, trying to sound big” (p. 193; his real name we learn later is ‘Johnny Cash,’ which in 1952 was not yet a ‘Man in Black’ reference). 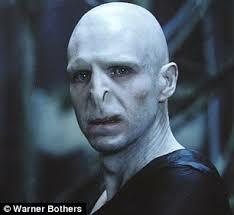 But that Voldemort echo in having given himself a fearsome moniker is nothing compared to Havoc’s psychological frame. Meanwhile Oates leant back in his hard chair, his legs stretching out across the room. Mr. Campion found himself fascinated. Oates was stepping right out of character. No one in the world had spoken with more force or at greater length on the stupidity of creating a legend round any wrongdoer. It was a creed with the old man and he preached it freely. His theory was that every crook was necessarily a half-wit, and therefore any policeman who showed more than a kindly contempt for any one of them was ipso facto, very little better. This was a new departure with a vengeance. Oates caught his expression and met it steadily, if not with ease. He laughed to and also at himself. “I know what I’m talking about,” he added, and Campion, who had never known a time when he did not, was prepared to believe him. Charlie Luke had not known his chief so long. He was far too intelligent to appear sceptical, but he hastened to bring the conversation on to a more specific basis. “What makes you so certain the stuff’s going to be there after all this time, Gaffer?” he asked. He drew them closer to him, pouring out the essence of his belief into their uneasy ears. It sounded like something else to the man from Tiddington. He licked his dry lips. He leant back on his box and Geoffrey’s bed shook a little as he touched it. He waited for their reaction and when they merely shuffled uncomfortably he laughed again. “Sounds like a religion to me,” said Bill, and he giggled because he was thrilled and drawn by the emotion ruffling the smooth voice. We don’t learn about “the people he knew” who “were as close to me as anyone has ever been” until the climactic confrontation In France that is the thriller’s finale, but I think we can accept that, if Havoc is the model in some sense for the Dark Lord, he’s convinced of his own destiny to power over others and that all his “science” requires is watchfulness and ruthlessness, i.e., indifference to other people. We have a pathological villain, then, in a book much admired by J. K. Rowling that she read and thought “phenomenal” at a nadir in her personal circumstances and the beginning of her Hogwarts writing. On to our third test. 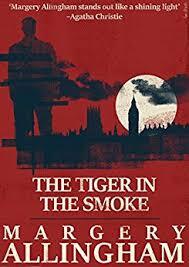 What is there in The Tiger in the Smoke that connects ‘Jack Havoc’ with the “invented” or fictional French word that Rowling gives to Harry’s arch-nemesis as his do-it-yourself elevation to aristocracy and Pure Blood status? The connection appears in a scene reminiscent both of Dumbledore’s DADA professor interview with Tom Riddle, Jr., in his Hogwarts office from Half-Blood Prince and Harry’s Deathly Hallows meeting with the late Headmaster at King’s Cross. Hounded by the police and the underworld, Jack Havoc is stealthily searching late at night the church where he grew up for a letter revealing where in France Major Elginbrodde hid his family treasure. The Canon or priest of that Anglican church and of the community of homes around it in London is a saintly man named Avril, who is the embodiment of selfless wisdom in the thriller. Though he knows it means his almost certain death, Canon Avril enters the dark church himself rather than notifying the police in order to confront the wayward child he knew, the ‘Johnny Cash’ who has become ‘Jack Havoc.’ Havoc sits in a pew behind the Canon and they have a conversation for the ages, the killer holding a knife to the old man’s throat. The highlighting is mine. A hand was biting into Avril’s shoulder now and the stink of terror was enveloping him. To his amazement, the explanation, which to himself sounded utterly inadequate and unsatisfactory, appeared to be understood. Behind him he heard the man catch his breath. Now it was Avril’s turn to understand and he was frightened out of his wits. There was a pause. Curiosity, fear, impatience bristled behind Avril. He could feel them. Havoc’s consumption with authenticity and with “not being soft” reminds me of three characters in Rowling’s work: Stuart “Fats” Wall in Casual Vacancy, Donald Laing of Career of Evil, and, yes, both Voldemort and his Death-Eaters because they take the Dark Lord as their role model. This is a recurring, baseline idea of human failing, sin, and evil in her work. Before we go into the content of this passage to find the root of the name ‘Voldemort,’ though, I’m obliged to touch on at least the resonance of this moment with Harry’s farewell at the otherworldly King’s Cross in Deathly Hallows, the exchange Rowling has said is the key to the whole series. The Avril-Havoc conversation is what Dumbledore talking to the Dark Lord fragment at King’s Cross might have sounded like, or, better, the heart of their actual exchange during their battle at the Ministry in Phoenix. Rowling apologized to the Frenchmen who gathered to present her with the Legion of Honor for tagging Voldemort with a French name. 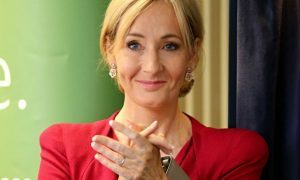 Rowling reassured French readers that she had nothing against their country, as she received one of the country’s highest awards, the Legion d’honneur. “I want to thank my French readers for not resenting my choice of a French name for my evil character,” she said in fluent French at a ceremony during which she received the award from President Nicolas Sarkozy. “I can assure you that no anti-French feeling was at the origin of this choice,” she said. 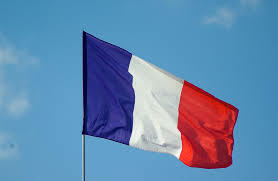 “As a Francophile, I have always been proud of my French blood. But I needed a name that evokes both power and exoticism,” she said of Voldemort, Harry Potter’s nemesis in the seven episodes of the bestselling series. “Voldemort himself is 100-percent English,” she added. And “power”? It has been a very long time since France as a country or their language has been considered “powerful” or “threatening.” [Insert joke about what going to war without the French is akin to.] German is that language, right? Or Russian? I think Rowling chose French for the Dark Lord’s self-anointed title for the same reason that Canon Avril, hearing Jack Havoc’s godless solicism, his ‘Science of Luck,’ says, absurdly (Havoc is essentially illiterate), “It is the fashion,” he said at last. “You’ve been reading the Frenchmen, I suppose?” The fashion he refers to — this is 1952 — is almost certainly the atheistic authenticity of Jean Paul Sartre and the French existentialists. The problem in translating the name is in the ambiguity of ‘de’ in French. It means simultaneously ‘out of, from’ with respect to place or just relative position in space and ‘of” with respect to a quality. 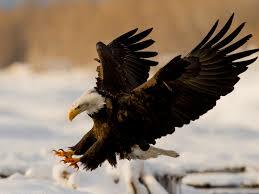 ‘Vol’ means ‘flight’ and ‘theft’ and ‘willing’ in French. I think from this confusing medley of possibilities we’re meant to come up with the meaning Tom Riddle wanted people to think of, an ironic and telling opposite, and a third even closer to the truth. “Flight from death” would be the telling contrary, what Tom Riddle was really doing in his seeking an immortality built on the murder of others. And, last and nearest the reality of the Dark Lord’s self-destructive because ego-preserving vision, “Desiring death” or, folding-in motion because of the resonance of flight, “the Pursuit of death.” “The descent into hell is easy,” says Canon Avril, quoting Virgil (facilis descensus Averno), because there is no resistance to the efforts of a person only pursuing their desires and advantage, no pull or restraint of conscience, no concern for the opinion of others. Literary influence is a prickly subject. 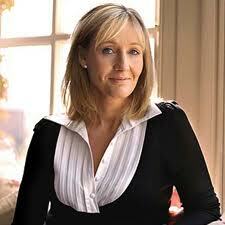 What is J. K. Rowling’s relationship with her best loved authors and books? 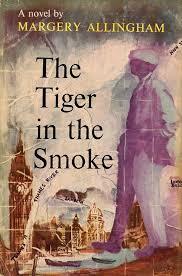 If we don’t get that right, this exercise in exegesis of The Tiger in the Smoke was wasted effort. Finding echoes of author’s works in later works invites the insinuation of something that is worse in a writer’s mind than theft or plagiarism, that is, “being derivative.” Critical games of what Samuel Beckett called “spot the style” or “spot the source” as Wendy Doniger writes tend to shut down author’s openness in discussing the intertextualty and, inherent to that, the meaning of their work. 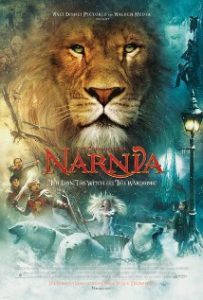 Rowling is no exception; witness here about-face with respect to C. S. Lewis when she heard her work compared to the Narniad a thousand times too many times. Rowling’s Hogwarts Saga, in essence, is best understood in two ways, mutually complementary: the story of (1) an abused and neglected gothic heroine in flight from evil and doubt and in pursuit of an elusive and sure faith (2) wrapped inside an intratextual and Intertextual masterpiece about reading and writing. This last makes Rowling’s relationship with her sources, the books and authors she is writing about, so important; her influences are subject and substance of her artistry. The trick is to remember that Rowling is much less the object of her favorite authors’ influence, them shaping her stories through her subconscious recall, than she is the subject of this influence, writing about them, subverting and stretching them, making a knight’s move a la Shklovsky and Nabokov of parody and defamiliarization to separate her meaning from theirs. She is not passive with respect to her influences but active and innovative. She does not “steal” anything from Allingham, in other words. Far from it. Rowling the alchemist grasps the essence or prime matter of a brilliant author’s depiction of the postmodern condition — the psychopathology of Johnny Cash/Jack Havoc versus the sacrificial love and selfless wisdom of Canon Avril — and distills and recasts it with respect to genre, depth, and meaning in her Dumbledore, Harry, and Riddle/Voldemort. Thinking of this artistry as “derivative” or of this story-telling as somehow “second-hand” is to confess to missing the point. 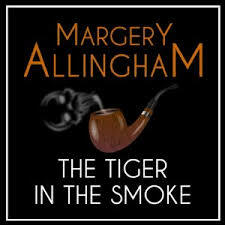 It is in that light that I offer for your consideration that Margery Allingham’s The Tiger in the Smoke, a book beloved by Rowling and one she read at the beginning of her writing work, includes the source material for and perhaps the most profound translation of the name “Voldemort.” I look forward to your comments and corrections. 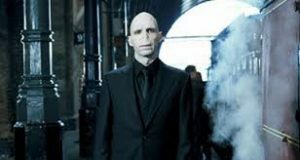 (1) Which came first “I am Lord Voldemort” or “Tom Marvolo Riddle”? The Dark Lord’s given name is rich in meaning as well, after all. Judging from translations into French, German, and Spanish, ‘Voldemort’ is the chicken that laid the egg and not born from an egg. The given names translating ‘Tom Riddle’ in the target languages are all chosen (they are all different) to be anagrams that will yield ‘Voldemort’ when unscrambled. Check them out. 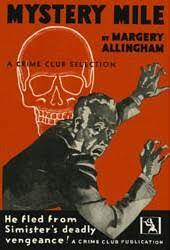 (2) Margery Allingham’s Mystery Mile, the first real Albert Campion thriller, deserves its own HogwartsProfessor post because the story turns on the right interpretation of a children’s book with an embedded clue no one can identify and decipher. Sound familiar? 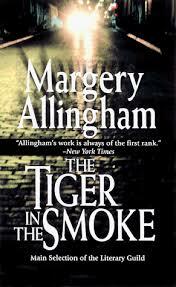 (3) Thanks to Dolores Gordon-Smith who first urged me to read The Tiger in the Smoke and to T. M. Doran and Beatrice Groves for seconding that recommendation after my Allingham ‘Dawlish’ post last week. This post caused a series of thoughts in my mind. To arrange them in some sort of order, I’d start with. The main contention of “The Tiger in the Smoke” as a source name for Voldemort. On the whole, I’d say the theory more or less holds water. It’s highly doubtful that there are that many other alternative places to look for as an origin point for both the name and character. What I didn’t expect was to see the character brought up in connection with Sartre. Still, even this makes sense when given careful examination. 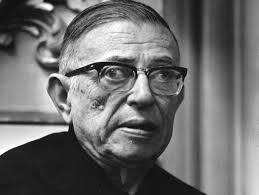 What makes it sort of amusing is that there is a rumor that even Sartre made a death-bed concession to Theism, if nothing else. “The Master and Margarita”. I was pleasantly surprised to find this here. It’s an even better when you can admit you really do know an author long before being introduced to him via Rowling. It was written by a man named Mikhail Bulgokov. He was a Russian dissident during the Cold War, who was woken up in the middle of the night by a phone call. The caller on the other line was Joseph Stalin. Literally. He was calling Bulgokov in person to tell him he was granted a pass to leave the country, or else. I have no idea why he was so merciful, and I doubt the author ever really knew, either. 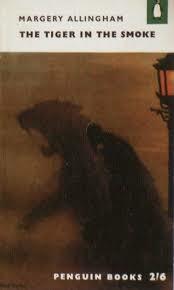 As for “TMAM”, it’s about guys like Stalin, only it features a giant demonic talking Cat stalking the streets. I’ll leave that as a nice appetizer. Another book worth checking out by Bulgokov is “The Fatal Eggs”. Imagine, if you will, the entire world overrun by Giant Mutant Killer Naginis. Yeah, throw in a William Shatner somewhere, and you have a pretty good Bug-Eyed Monster novel. The idea that Beckett might have been a closet Berkeleyan is something of a jaw-dropper when you consider it. At the very least, it makes one wonder just how his entire oeuvre should be read. “Thought you ought to know”. Running to Amazon right now to see if Tiger in the Smoke is available as an eBook. If not, I can always rely on my library for a hardback or paperback copy. I’ve never been sharp when it comes to sleuthing out clues in mysteries, whether in books, movies, or real life forensics, but I like to follow the trail that others have found. Thanks for your careful presentation of clues and the conclusions you’ve drawn from them. Bravo! Keep on like this and you’ll never be stale. and THIS is why we all hoist a pint in homage to the Dean Of Hogwarts Professors. and why we respect and aspire to this level of literary analysis and scholarship. Excellent modeling of how to investigate a work!! Your chapter 17 quotation made me think of Charles Williams’s Descent into Hell (1937) – do we know if Allingham knew it? (Or Rowling, for that matter?) Fascinating matter for contrast as well as comparison, in any case, from the look of that chapter 17 quotation and your discussion. The exoticism of French – cf. 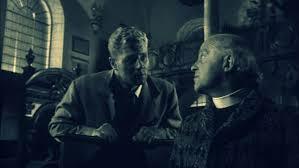 Simon Leclerc in Williams’s All Hallows’ Eve (1945)? Does ‘the pursuit of death’ have anything to do with Freud’s ‘Todestrieb(e)’? Wow, what an enjoyable film (in a nearly full-length cut, assuming IMDB got the original length right)! In his script, Anthony Pelissier certainly seems to have stuck close to the book in the passages you quote (though much abbreviated). Curiously, Julian Symons in Bloody Murder (1985 rev. ed. ), calling it “the best of all her books”, “a thriller of the highest quality”, adds “one feels in these books […] that good as they are they would have been better without the presence of the detective”, Campion! The film reminded me of Charles Williams further, including of War in Heaven – with Canon Avril reminding me in various particulars of Archdeacon Davenant, and the ending (no spoilers!) having the potential of being similar to part of the end of that novel (if her novel is less open-ended than the film, in one particular – to avoid spoilers by vagueness). And, a resemblance in the end to the end of The Greater Trumps also suggests itself (to go on vaguely avoiding spoilers). The whole ‘luck’ theme in the film also reminded me of Williams’s various treatments contending ‘all luck is good’. Lucy in the film reminded me a bit of Lily in Descent into Hell, too – which, with an eye to “the pursuit of death”, includes the consecutive chapter titles “Via Mortis”, “Quest of Hell”, and “Vision of Death”. Not so long ago, when I was leading a study session on Lewis’s The Abolition of Man, one of the other participants asked me if I knew Mikhail Bulgakov’s The Heart of a Dog, which she was reading just then – and which sounds very interesting – and a copy of which I was unable to run down on my most recent visit to the big city in a single-minded search in a goodly round of bookshops – though a couple had TMAM – which you’ve now got me wishing I’d bought! I should probably just try any and everything of his I encounter, from what you say! Well, hey, perhaps all it takes is one effort to start a whole avalanche! And, that the Wade Center online listing of Williams’s correspondence includes a letter from her to him of 25 July 1940, and his reply of 30 July! I’ve now read and thoroughly enjoyed More Work for the Undertaker, and am inclined to echo Grevel Lindop, “I can see what he meant.” I’m not sure I would have thought of it myself, and there seem a lot of differences, and yet… It leaves me wondering if Margery Allingham had met Williams as well as corresponding with him, or seen him lecture, or perhaps talked to people who knew him or had seen him. (I’m not sure of any written descriptions of him that are early enough – would Lewis’s preface to Essays Presented to Charles Williams have been available in time?) It’s portrait of a street reminds me of Williams’s sketch of one in War in Heaven. And there is perhaps an important thematic connection with various of Williams’s works, which I don’t know I can point out, for fear of spoilers.